The law office of John J. Malm & Associates has been retained to represent a 52 year old Montgomery man who was severely injured in a head-on collision in Montgomery, Illinois. On August 29, 2014, the man was operating a 2001 Honda Civic traveling southbound on South Broadway Road near the intersection of 3rd Avenue. At this intersection, South Broadway Road splits, and Broadway Road continues southbound while the main road curves eastbound into Montgomery Road. 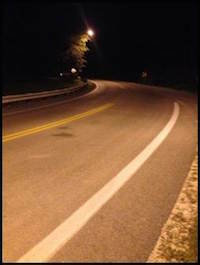 The posted speed limit at this curve is 20 m.p.h. As the man approached the intersection, he turned along the curve to continue driving on eastbound Montgomery Road. At that time, another vehicle, a 2003 Nissan Xterra, was traveling westbound on Montgomery Road near the intersection. According to witnesses, the Nissan was driving at a high rate of speed – far in excess of the posted limit. Both vehicles approached the curve traveling in opposite directions. Suddenly and without warning, the westbound vehicle lost control and crossed the center line into the southbound vehicle’s lane along the curve of Montgomery/South Broadway Road. The two vehicles crashed head-on. The accident occurred as a result of negligence of the westbound Nissan, which was operated by an uninsured motorist. An investigation showed that the uninsured driver negligently crossed the center line at a high rate of speed, causing the head-on collision and the client’s injuries.